Bechtel has been a member of the Tri-Cities community for the past 40 years. I’ve spent the past four and half years here, and I’m grateful for every minute. I am departing to take a new assignment to lead Bechtel's Nuclear Security and Operation business line, but leave the Vit Plant in my successor Brian Reilly's capable hands. You can read more about him in this issue of Vit Bits. Read my parting thoughts on the project and the community I have called home for nearly five years in my op-ed column in the Tri-City Herald. A Startup electrician safely opens a utility systems control panel. Workers have transferred 70 percent of utility systems from the construction phase to the startup phase. 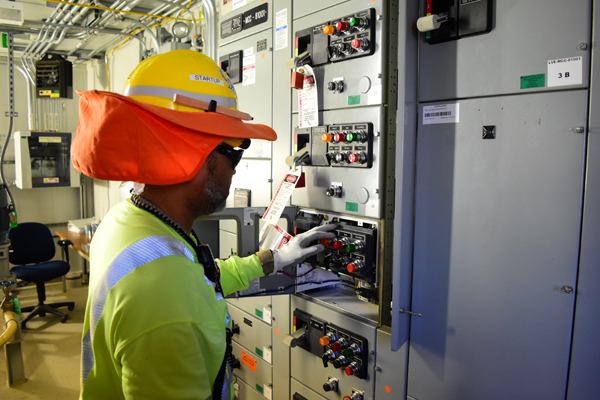 Workers at the Vit Plant have completed the startup and testing phase for 20 percent of the utility systems needed to support future plant operations. This work is progressing on an extensive array of process support infrastructure called the plant’s Balance of Facilities (BOF). BOF contains a total of 56 systems, including an electrical power distribution system, backup power, water purification, compressed air, steam, communication and control, and fire water systems. Of the 56 systems, 11 have successfully completed startup and testing and have transitioned over to the commissioning phase; 28 are in the startup phase; and 17 are nearing construction turnover to startup. Read more about this important phase of the project at http://bit.ly/2yXwlgy. 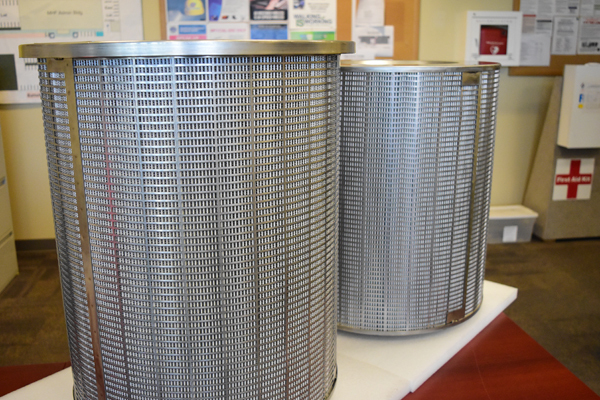 The first-of-a-kind radial HEPA filters developed by the Vit Plant team are roughly 2.5-feet tall and 2 feet in diameter. A team of engineers from Bechtel National Inc. and the Department of Energy’s (DOE) Office of River Protection joined industry and academia experts to develop a first-of-a-kind high-efficiency particulate air (HEPA) filter for the Vit Plant. The filter is at least five times stronger than a standard HEPA filter and meets or exceeds Vit Plant standards and codes set by the American Society of Mechanical Engineers. It could be of use across the DOE nuclear complex. The Office of Environmental Management is considering additional uses for the new filter at its sites due to its potential to survive smoke loading from facility fires, heavy dust loading, and pressure generated during severe events at nuclear facilities. Read more about the development and testing of these critical pieces of equipment at http://bit.ly/2ASQ3g1. Brian Reilly, a 35 year veteran of nuclear construction, will become the next project director for the Hanford Vit Plant. Reilly will guide completion, startup, and commissioning of the Vit Plant's first phase: the seven-story, sports arena-sized Low-Activity Waste Facility and its associated support facilities. 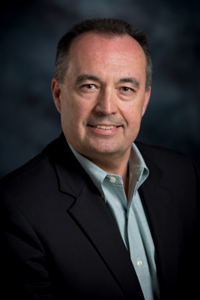 Reilly succeeds Peggy McCullough, who will move to Bechtel's operational headquarters to lead the company's Nuclear, Security, and Operations business line. Since 2014, Reilly has led the $6.5 billion design and construction project for the National Nuclear Security Administration’s Uranium Processing Facility in Oak Ridge, Tenn.
Read more about Reilly at http://bit.ly/2z9zahI. 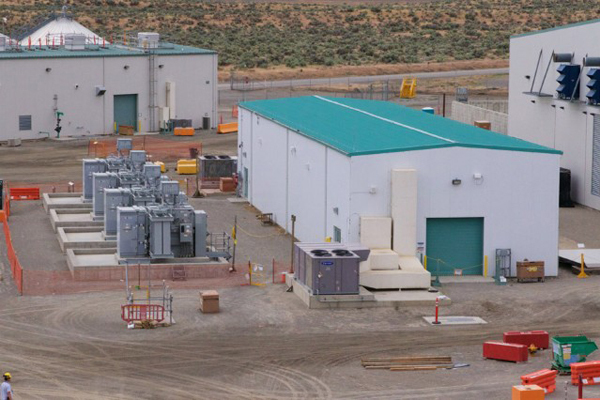 The Hanford Vit Plant Project Team concluded startup functional testing of Building 91. The switchgear building provides electrical support to the more than 20 support structures of the Vit Plant's Balance of Facilities. Building 91 was energized early in March 2017. Employees with the engineering, construction, startup, and plant management departments of contractors Bechtel and AECOM achieved this project goal in late September 2017. 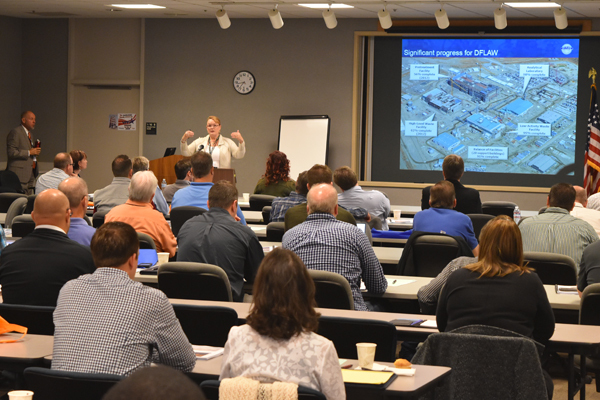 The third annual Vit Plant Supply Chain Collaboration Event took place in September. The annual event emphasizes collaboration between the Vit Plant and its supply chain that is focused on meeting the unique quality and safety requirements that come with working on the Vit Plant. Representatives from 41 of the Vit Plant's key suppliers and subcontractors attended the two-day event along with Bechtel corporate representatives, managers from the Office of River Protection, and the Vit Plant's senior management team. Read more about the event at http://bit.ly/2ATwjsm. 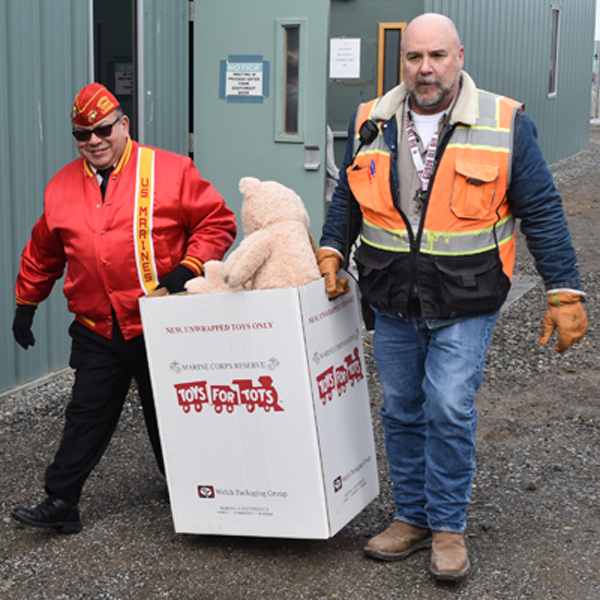 Vit Plant employees, together with Bechtel and AECOM, donated thousands of toys and nearly $24,000 to the U.S. Marine Corps Reserve’s Toys for Tots campaign today. The Vit Plant has participated in the campaign for more than 10 years. Employees and Bechtel designated $11,000 of the total donation to the Local 598 pipefitters’ annual Bikes for Tikes campaign. This year, the pipefitters purchased and assembled 600 bicycles and helmets for Toys for Tots. Read more about this Vit Plant tradition at http://bit.ly/2j4w1ad. Employees at the Vit Plant help Junior Achievement impact more than 11,000 students in the southeastern Washington area by getting into classrooms to teach children real-world business skills such as how to generate and manage wealth, how to create jobs that cultivate their communities, and how to apply entrepreneurial thinking to the workplace. 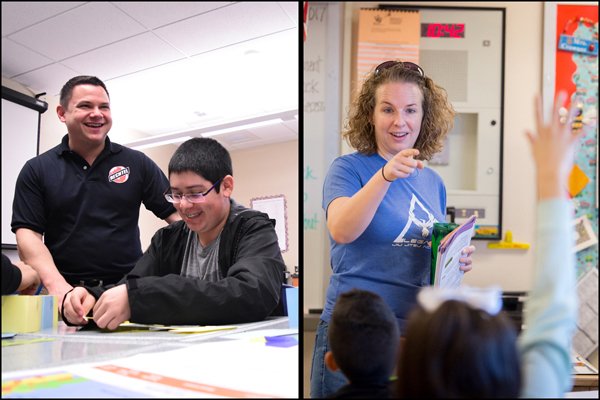 Students turn their lessons into actions and learn the value of contributing back to their communities. 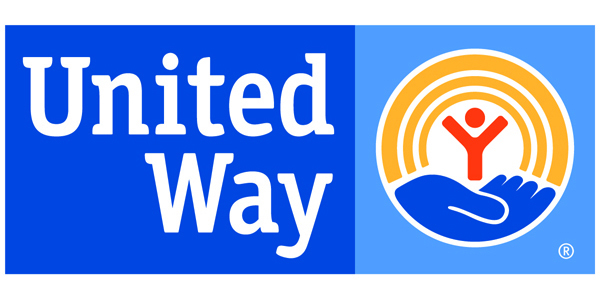 Employees at the Vit Plant raised more than $400,000 to support the United Way of Benton and Franklin Counties during the 2017 fundraising campaign. The Vit Plant was the community pacesetter for the campaign, and the amount raised set the standard for other organizations to meet or beat our efforts. 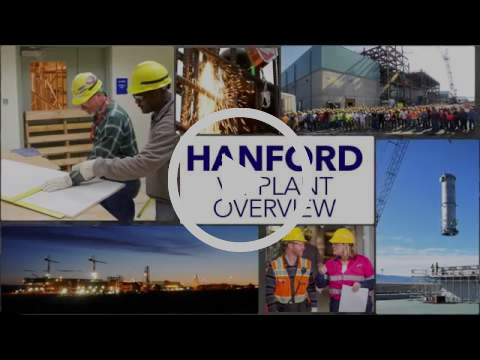 During the vitrification process, waste from Hanford's underground tanks will be mixed with glass-forming materials and heated to 2,100 degrees Fahrenheit. 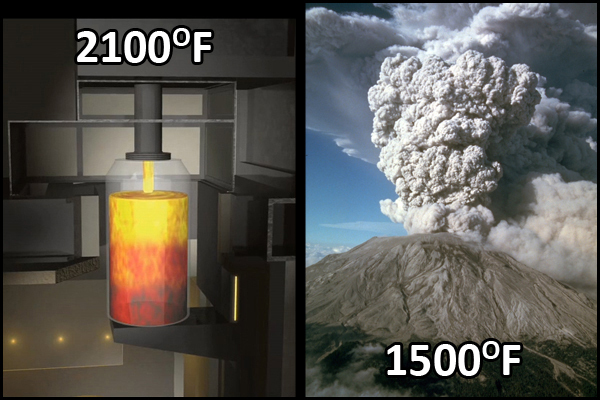 The mixture will be significantly hotter than the lava expelled during the 1980 eruption of nearby Mount St. Helens, which is estimated to be approximately 1,500 degrees Fahrenheit. 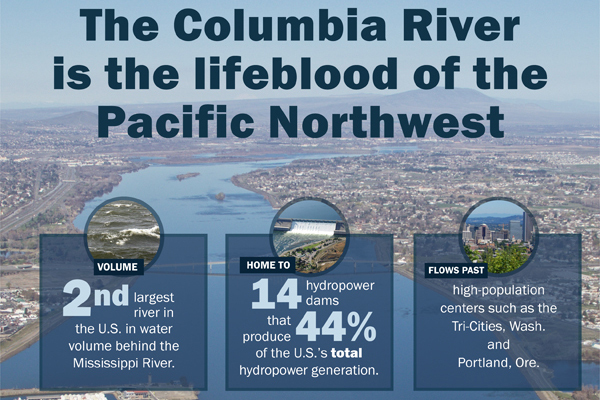 Protecting the Columbia River is crucial because it is the lifeblood of the Pacific Northwest. It is the second largest river in the U.S. in water volume behind the Mississippi River and is vital to the agriculture, commerce, hydropower, recreation, and nature in the region. Learn more about the river at http://bit.ly/2AT9Z28. Take a tour inside the massive, first-of-a-kind Waste Treatment Plant, also known as the Vit Plant, under construction at the Hanford Site in southeastern Washington state. The plant encompasses 65-acres and, once in operation, will use a process called vitrification to solidify millions of gallons of nuclear waste left over from World War II and Cold War-era defense programs. Copyright © December 2017 Bechtel National, Inc., All rights reserved.